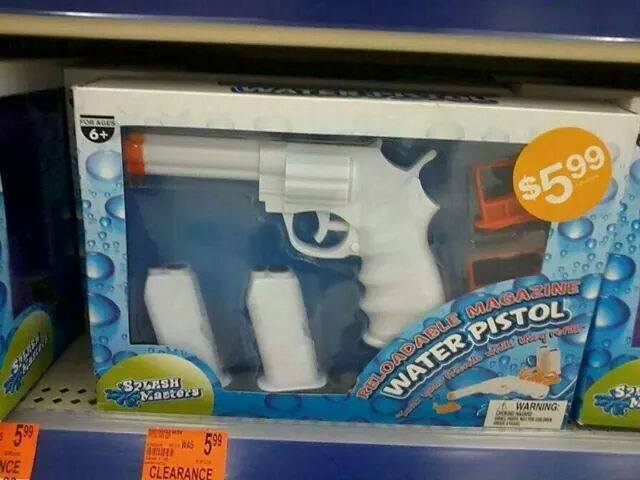 IN MOST INSTANCES YOU DON’T NEED TRAINING TO SUCCESSFULLY DEFEND YOURSELF WITH A GUN. 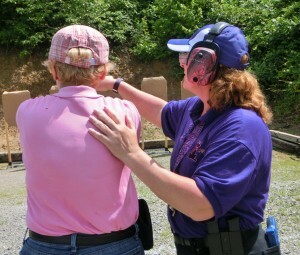 … You don’t need hundreds of hours of training to survive most self-defense encounters. Untrained people prevail, with varying degrees of success, against bad guys all the time. The caps and red letters are his. Johnston goes on to say that he believes that the primary value of training is that it makes us “much less likely” to get involved in a shooting in the first place, and more likely to avoid the kind of situations that turn deadly. I don’t disagree with much of what John said, and want to add one more important point to the discussion. My point … well, it’s a bit like touching the third rail of American gun culture, but I’m gonna do it anyway. It’s about safety. 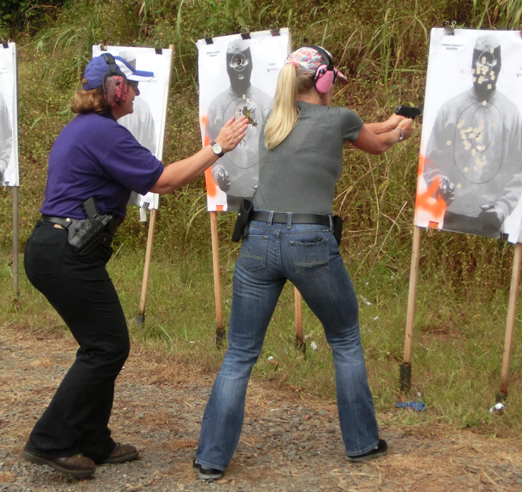 After 15 years of learning and teaching defensive handgun classes at the professional level, it’s my deeply held belief that people who have not had serious defensive handgun training are not as safe with a firearm as they believe they are. If you haven’t had at least one serious training class — over and above the state-required permit class — the chances are that your gunhandling isn’t as good as you believe it is. This is especially and particularly true if you grew up in a gun-owning family and have handled firearms throughout your entire life starting from childhood. That’s not a sin, by the way. It’s simply a thing that’s likely to be true. It doesn’t make you a bad person or anything like that. If it’s something that bothers you, it’s also something you can change. No judgment here; everyone lives their own lives and ultimately makes their own choices about their priorities in life. It’s okay. Oh, and if you have had such training? Don’t get too cocky; people who have had such training tend to behave less safely than they believe they do, too. (Yep, that includes me.) We’re all human. Not being able to see our own blind spots is simply human nature and again, not a sin. But education, even when done skillfully, can produce illusory confidence. Here’s a particularly frightful example: Driver’s education courses, particularly those aimed at handling emergency maneuvers, tend to increase, rather than decrease, accident rates. They do so because training people to handle, say, snow and ice leaves them with the lasting impression that they’re permanent experts on the subject. In fact, their skills usually erode rapidly after they leave the course. And so, months or even decades later, they have confidence but little leftover competence when their wheels begin to spin. Grab a cup of coffee before you follow the link to Prof. Dunning’s article. It’s an excellent article and worth reading. But it’s long enough to make people think, which means most people won’t bother to do more than skim it, if they even do that. Be special and read the whole thing. You’ll enjoy it! Anyway, safety. Let me mention a few statistics that are not widely known nor widely repeated in the firearms training world, though they absolutely should be. The numbers below came from the Centers for Disease Control (WISQARS), and you can check them yourself using the widgets at [this link] and [this link]. In 2013 (the latest year for which these numbers are available) 16, 864 people of all ages presented themselves at hospital emergency departments suffering from unintentional gunshot wounds. This number does not include suicides or deliberate shootings, only mistakes where “the gun just went off” and someone was injured badly enough to need the services of a physician. This adds up to one avoidable, preventable injury happening every 33 minutes, all across the country, all day long, every single day. During that same year, more than 500 people died from unintentional gunshot wounds. That’s one or two desolate gravesites, one or two devastated families, one or two grieving communities every day of the year. Do you find yourself marveling at how many unreported unintentional discharges must happen, in order to create this many tragedies? After all, catastrophe doesn’t always follow these potentially-deadly mistakes. Nobody tracks the close calls. We do know that private, unreported mistakes are more common than reportable accidents where someone got hurt or killed by a stray bullet. Caution: May create unexpected side effects. This horrendous toll of injuries and deaths does not need to happen. It’s preventable with good education and training, and especially with education and training geared toward teaching people how to defend themselves from violent crime. The formerly naïve student consciously understands the things his hands need to do in order to safely manipulate the firearm. He may not yet be able to make his hands do these things every time, but he can describe what he’s trying to do. 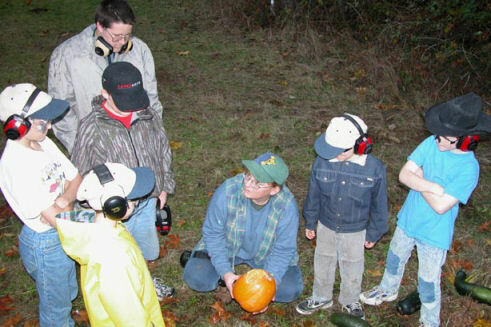 The student becomes able to make his hands safely manipulate the firearm – as long as he moves slowly while carefully paying attention to everything he does, and as long as he feels little or no external stress while he handles the gun. By doing each action slowly and repeatedly, with conscious attention to what he’s doing, the student builds neural pathways dedicated to safe gun handling. The student’s neural pathways become stronger, better organized and more efficient. He can now load and unload the gun, and perform other basic firearm manipulations, without thinking through each individual step along the way. His movement patterns for basic tasks begin to approach automaticity. Now we can add stress and interest to shooting and gunhandling drills: how fast can he draw the gun and get good hits? How quickly can he hit the target, and at what distances? How fast can he reload or clear a malfunction? As the student handles the firearm safely under the mild stress of time and performance standards, his neural pathways become strongly optimized to maintain good habits even while he thinks about other things. It is at this point that we challenge the student with decision-making drills and realistic scenarios, because we can finally trust that his gunhandling will remain safe despite having a mental focus on other topics. We reasonably believe his gunhandling will remain safe under many different types of stress: performance stress, the fear of failure, time and accuracy standards, etc. We can trust that he will handle the firearm safely and competently as we help him expand his problem-solving abilities through repeated challenges. By the time our students have reached this final step, safe gunhandling has been engrained so deeply that it will hold up even when the student is highly focused on a life-threatening problem and accurately fearful that he’s about to die if he doesn’t use the gun immediately. This creates an obvious corollary: as a result of our efforts to teach skills that remain under life-threatening stress, the student has built safe gunhandling habits that will almost certainly withstand the more mundane danger of everyday distraction in far less stressful situations. This is why I say that good training can save your life, even if you never become one of the 60,000 to 460,000 people who use the firearm to defend themselves from violent criminals every year. Being prepared to live with the gun is every bit as important as being prepared to live by the gun. One Response to What does training do? Excellent post! I actually looked at Dr. Dunning’s, copied it, and read it last night. In a nutshell, what he is addressing, ultimately, is the sin of pride. People don’t like having their weaknesses exposed, and will go to great lengths to deflect accusations of fault/lack of knowledge, or outright make excuses for them. And the more “knowledge” that permeates our lives, the ability to discern what is true and what is false gets harder and harder. The “sin” articles were very interesting, too.